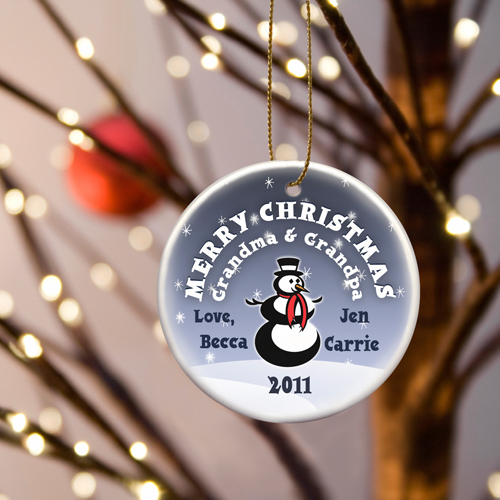 * Celebrate the season and remember the magic of Christmas with our personalized ceramic ornaments. * Choose the design that captures your recipient's holiday spirit. 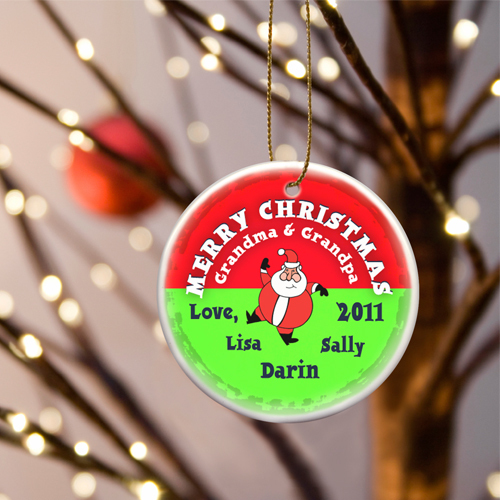 * Ornaments measure 3" in diameter and come with a metallic gold ribbon for hanging.